Whether 24/7-availability, the organisation of multi-day road trips incl. our partner hotels or synergies through corporate cooperations - save your precious time! We offer mobility for the highest demands. With our long-term rental you only drive your car when and where you need to, without taking care of insurance, maintenance and Co. Where else can you switch flexibly from a Porsche 911 to a Mercedes-Benz G-class at the end of the month? Our own cars, most of which have the Porsche emblem on their hood, are configured individually by us. And only in a way as we would drive them ourselves. We do not only let you drive unique rental cars, but we also inspire you with our CarVia roadbooks and surprising extras. You can be assured that, after any tour with us, these CarVia moments will long remain in your memory. Convince yourself and experience car rental with CarVia in a new way. 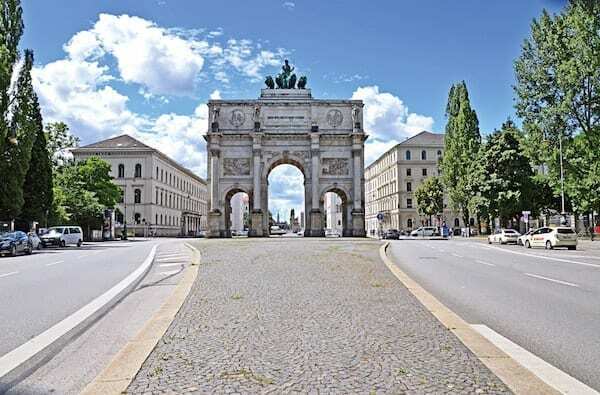 You will find us in the prime location of Munich-Schwabing, about 1 kilometer from the Siegestor (Victory Gate) and a few minutes from Munich central station away. The Munich airport can be reached within less than 30 minutes. And in case you are in a hurry: Of course we can deliver your car to your doorstep and pick it up from any place you desire. A strong company needs strong teammates. We count on partners that are open to/for innovative solutions and want to offer their customers something special with our joint service. If requested, we create special events for you and your guests using our whole fleet. We are delighted to see our international network expand through mutual support. Become part of our success story!